It is year 2024. Jamaica is a broken nation. Bad governance, as well as mounting pressures on the poor, led the Jamaican population into a civil war. With a total lock down on freedoms, the only alternative was to flee the once beautiful tourist island. After the Dudus chronicles, there is a halt on granting American visas to Jamaicans. The popular perception in America is that every Jamaican is potentially another Dudus. “Foreign” ended up being the Far East. Identities are now in the form of AVATARS of the Far Eastern Culture. Jamaicans assumed the identities of the Chinese. With our natural propensity to prevail against all odds, the Jamaican crew end up as a force to contend with. Our hero, First Born, is the bouncer in a whore house. He has discovered that he is the rightful ruler of the Far East Empire. Ninja Grand Master, Bad Muta, is evil incarnate and the new ruler of the Far East Empire. He will do anything to maintain the status quo. The ensuing battle for Power continues. In “Ching Pow: Far East Yardies,” Jamaicans have disguised themselves through the use of avatars. i.e. 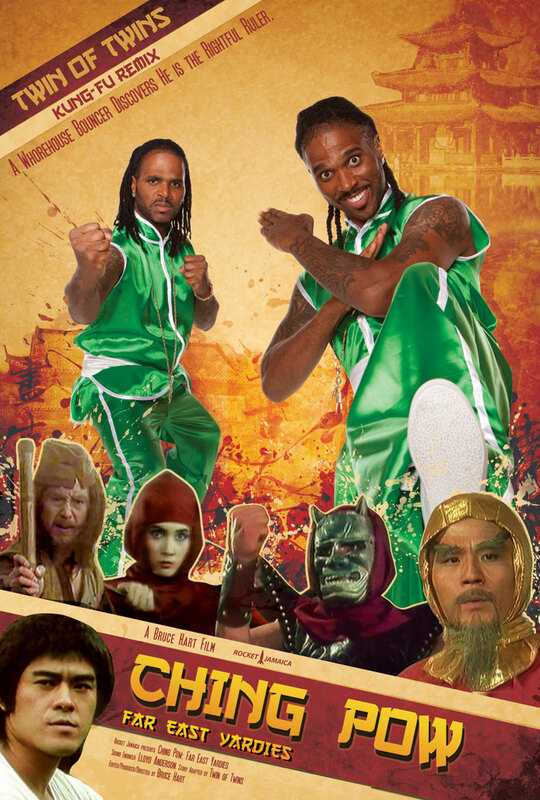 The movie’s characters are Jamaicans so they sound like ‘Yardies’ but they look like they are from the Far East.